For the DD LE-S6 Loaded Enclosure, the engineers used their DbBox system to create the smallest, best sounding enclosure possible. During the design process, they have built a ton of enclosures to find the perfect match between size, tuning and port size. If you are cramped for space but still need those low extensions, the LE-S6 is the perfect solution. 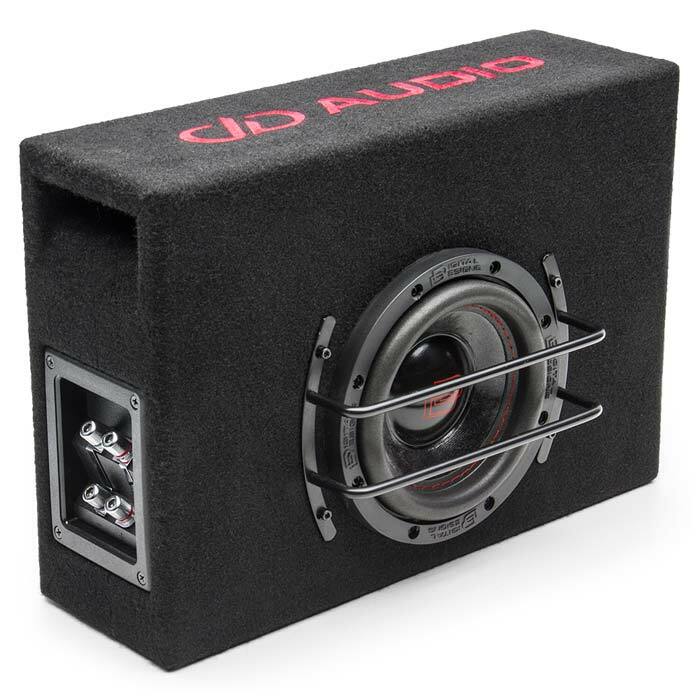 DD is using highly durable parts that are specifically tuned for the use in this enclosure in the 6.5” subwoofer that is used in this box. 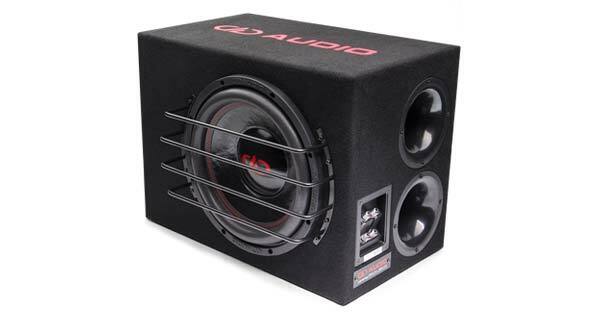 When the LE-S was tested against similar designs that used larger enclosures and larger drivers, the LE-S came out tops regarding sound quality and bottom end extension. 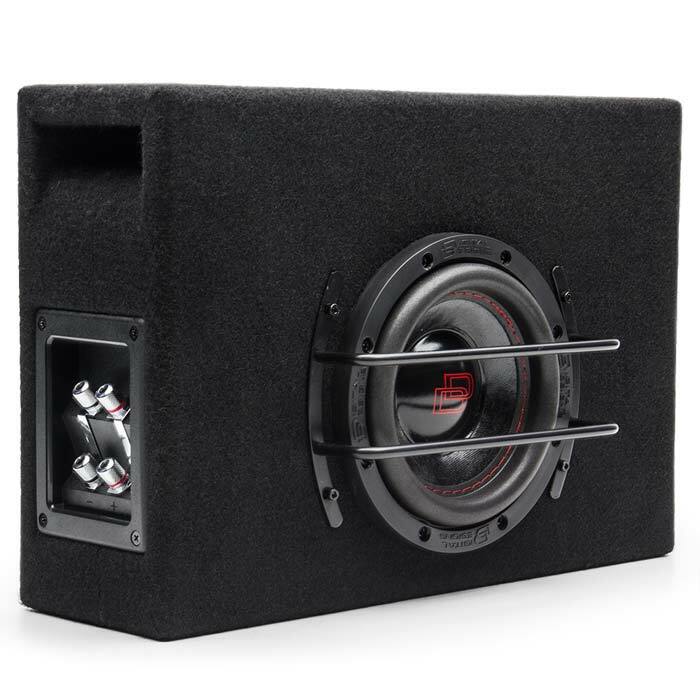 The shape and size of the enclosure make the LE-S6 the perfect fit for behind the seat fitment in pickups and it can be used under the seat in a down fire configuration with the supplied feet. 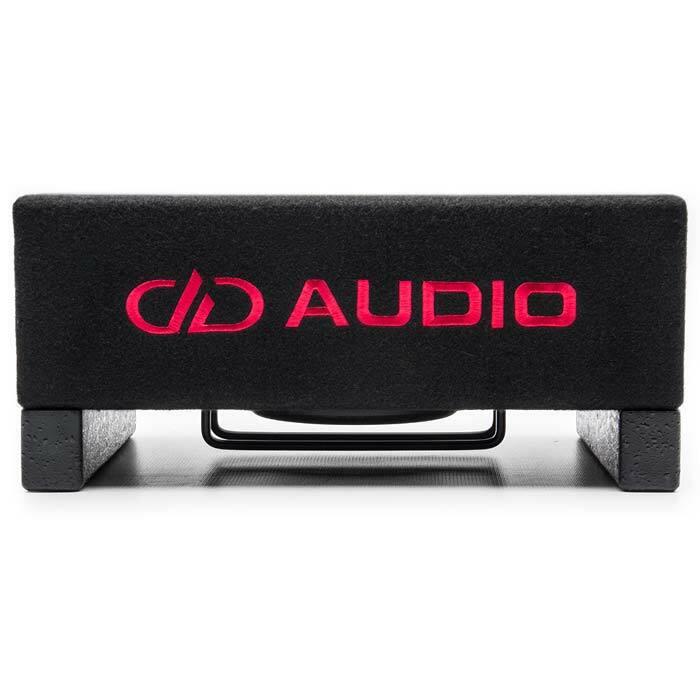 With the bi-amp speaker terminal, you can either use it in dual 2 Ohm, single 1 Ohm or single 4 Ohm applications. 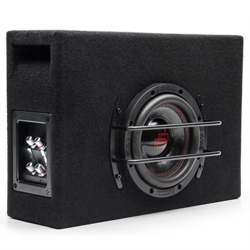 For more information on the DD LE-S6 Loaded Enclosure, please contact us, or visit the manufacturer’s product page.